Dr. Ikechukwu Adinde, Administrator, Digital Bridge Institute (DBI) has called on African governments to launch an aggressive intervention in the ICT sector by investing in digital skills to stimulate economic growth and youth employment. Adinde made this known on Tuesday at the just-ended International Telecommunication Union (ITU) and the Digital Bridge Institute Regional Human Capacity Building Workshop in Abuja. The three days’ workshop has the theme: “Strengthening Capacity on Internet Governance in Africa. “Digital literacy in the 21st century has become as important as the ability to read and write was in the 19th century. “Indeed, policy makers and governments in Africa ought to launch aggressive intervention into the ICT industry by investing in skills development to stimulate economic growth and tame the rising tide of youth joblessness and associated insecurity in the region,” Adinde said. He lauded the ITU for establishing training centres but regretted that “only a few of our youths have the wherewithal to enrol for some of the human capacity training opportunities provided by the ITU centres of excellence and other tertiary institutions. “This makes the case for intervention even more imperative,’’ he said. According to the DBI boss, there is a convincing argument that if Africa wants to transform and become a global player, it must transform its human capital. Adinde said Africa must open access to quality education and training for the young population by deliberately creating funds that will increase access to acquisition of digital skills. He cited the example of the Smart Africa Scholarship Fund launched during the Transform Africa Summit 2015, which hosted over 2,500 delegates from 81 countries. “The Fund aims to provide financial support to our youths who are seeking post-graduate and certification- level training at the continent’s best ICT centres of excellence. “I am a keen advocate of the digital skills initiative by the ITU Centres of Excellence Network for Africa which recommends the reservation of a certain percentage of the Universal Service Fund for ‘universal access to digital education’, he said. “It is time that we make a bold decision in this direction to provide funding access for the much talked about digital skills literacy by earmarking a proportion of Universal Service Fund (USF) for digital skills literacy. “This resonates strongly against the backdrop of indications that surplus balance exist in USFs across Sub-Saharan Africa (SSA). “A GSMA report in 2014 on the utilization of USFs revealed that over half of the inactive funds (with undisbursed/surplus balances) within the 69 countries studies are based in SSA. One of such reforms should be to invest the funds in digital literacy. Adinde said as the ITU workshop in Abuja provided another opportunity to focus discussions on the future of skills and knowledge . 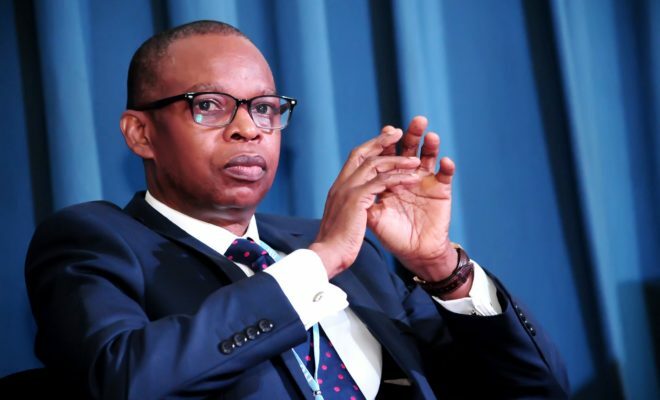 “As we seek to change the African landscape in this era of connected economy, we must take strategic decisions that are implementable within the shortest possible time because of the changing terrain”, he said.